The establishment is located in Castiglioncelli, within the municipality of Cavriglia in the province of Arezzo. It is less than an hour away from some of the most beautiful Tuscan cities: Arezzo, Siena, Florence. The company is three kilometers away from the municipality of Cavriglia, where you can avail yourself of any useful service: post office, bank, supermarket, pharmacy, doctor’s office. How to get there: Autostrada A1 Milan-Naples, exit at Valdarno at km 336; continue – following the signs for Montevarchi and then Cavriglia/Siena – on the regionale route 408 Chiantigiana (ex SS408); at km. 39.1, turn left for Montegonzi and after 50 meters you will find the sign indicating the entrance to the agritourism site. 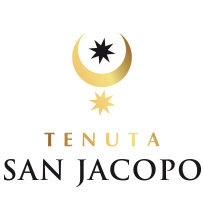 Azienda Agricola San Jacopo in Castiglioni soc. agr. a.r.l.